The Virgilio Coffee Table by Daytona is hand-crafted from the finest materials to create a look that is rich with Italian heritage. Sculpted from solid maple, this beautiful coffee table is finished with a luxurious emperador marble top and brushed smoke lacquer gloss. A popular material from the 1930’s, marble will bring a touch of luxury to any interior scheme. The top can be made in high quality emperador, calacatta and oro marble. Alternatively, choose a striking wood finish. 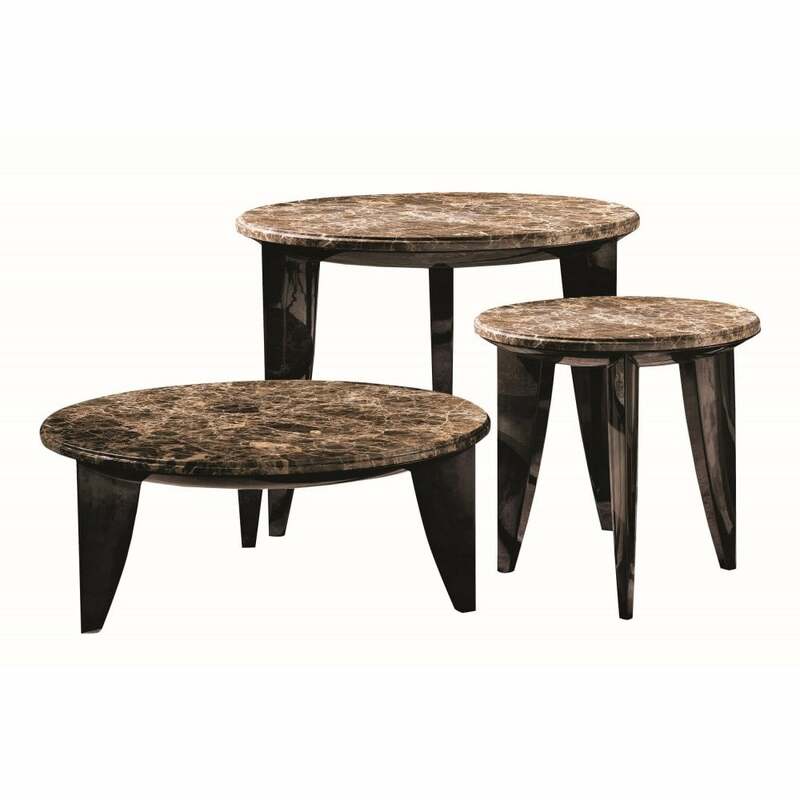 The coffee table is available in three different sizes, which can also be purchased together. The three formats combined give the idea of a multidimensional surface. Use to display your favourite design books and vases of greenery and flowers.